There have been a few really good articles recently about Crohn’s Disease and the struggle people go through on a daily basis with the disease. It started last week with a great blog post by a college student in Utah about her struggle in the Huffington Post. There is relief as you realize you have a reprieve from the disease but a lingering sense of anxiety as you contemplate the “what if” that hangs just above your head, depriving you of real peace. It’s a daily struggle to keep the fear and uncertainty at bay and enjoy the moments that feel “normal. In addition to that piece, Wynn also wrote a story today about the disease in general, beginning it with a mention of Olympian Carrie Johnson (see my previous post) who also has Crohn’s Disease. 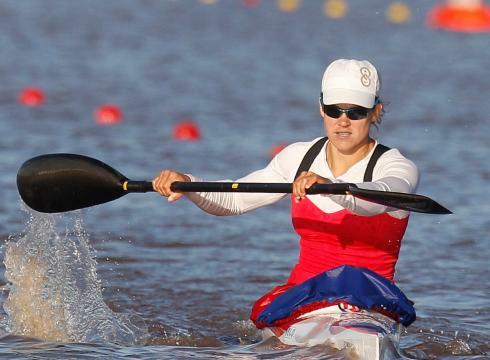 Carrie Johnson is representing the United States at the 2012 Olympics in pursuit of the gold medal in women’s kayaking. But while she battles for the gold, Johnson is fighting another battle: with Crohn’s disease, one of the two most common inflammatory bowel diseases, according to the U.S. Centers for Disease Control and Prevention. At the same time as all the discussion of Carrie Johnson, another actor announced that he is battling Crohn’s Disease. Ken Baumann, most famous for his role as Ben Boykewich on ABC Family’s Secret Life of the American Teenager, announced several weeks ago that he has Crohn’s. It’s great to see all this public mention of Crohn’s Disease. Hopefully with all the attention being paid to it, more people will be come aware of what it means to have Crohn’s Disease and Ulcerative Colitis and become more understanding to the needs of Crohnies. I would add that hopefully it would put an urgency behind the need to find a cure for the disease, but the urgency has been there for awhile now and a cure hasn’t been found yet. How do you feel about the recent attention being paid to Crohn’s Disease and Ulcerative Colitis? Entry filed under: IBD News.